The deluges and rains have hit 26 districts in Maharashtra, 22 in West Bengal, 21 in Assam, 14 in Kerala and 10 in Gujarat so far. NEW DELHI: As many as 465 people have lost their lives due to floods and rains in five states during the current monsoon season so far. According to the Home Ministry's National Emergency Response Centre (NERC), 138 people have died in Maharashtra, 125 in Kerala, 116 in West Bengal, 52 in Gujarat and 34 in Assam due to the floods and rains. In Assam, 10.17 lakh people borne the brunt of rains and floods, of which 2.17 lakh were living in relief camps. Twelve teams of the National Disaster Response Force (NDRF) were engaged in rescue and relief operations in Assam, the NERC said. A team of the NDRF comprises 45 personnel. A total of 1.61 lakh people were affected by rains and floods in West Bengal where eight NDRF teams were deployed. 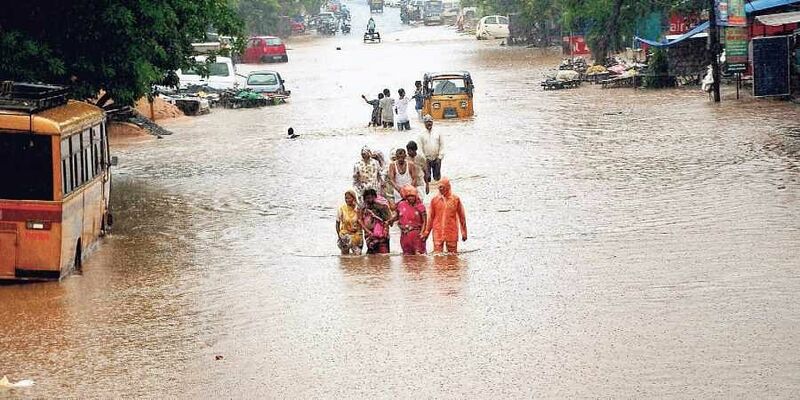 In Gujarat, 15,912 people were evacuated to safer locations after they were hit by floods and rains. 11 NDRF teams were positioned in the state. In Kerala, the flood impacted 1.43 lakh people. The state registered 125 deaths due to heavy rains, while nine people are missing. Four NDRF teams were deployed for rescue and relief operations in the southern state, while three were stationed in Maharashtra, which was battered by heavy rains.